23 January 2011: Immigration policy may be nationally determined but the experience of settlement and integration is a uniquely local experience. 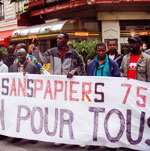 So what is the role of localism in ensuring the benefits of migration are realised? This articles discusses initiatives in the US and France and asks what lessons can British cities learn. 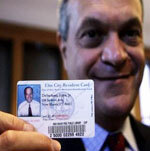 Mayor John DeStefano led a ground-breaking initiative in the city of New Haven, Connecticut, to create a city identity card for its residents regardless of their citizenship status. In 2007, the Elm City Resident Card (Elm City being the nickname for New Haven) became a way for undocumented immigrant residents to access financial and government services, without fear of being exposed as ‘illegals’, and for the city to deal with a number of public safety and integration challenges. Latino migrants in the city became targeted for theft as ‘walking atms’ because, without access to financial services, on payday they would carry home large sums of money. The identity card scheme, while promoting a sense of city belonging, was at odds with the national stance on undocumented migrants. Two days after the city council passed the resident card initiative, the Immigration and Customs Enforcement launched a raid in New Haven arresting 30 people for immigration fraud. Despite the federal government’s intervention, the mayor and city council maintained that immigration had been good for its local economy and it was its duty to foster a community where people felt able to live and work without fear. At the start of the initiative, people  regardless of their status  took up the resident cards because of a strong desire to be recognised and respected as members of the community. The actions of Mayor DeStefano and New Haven City Council serve to illustrate that the lived reality of settlement and integration is local. It is in the people’s interest to invest in building their community, and they are best placed to do so as they understand the needs of their local area. In New Haven, the city took the view that immigration was a fact of life, and so it was in their best interest to enact policy which realized the benefits immigration can bring, namely inclusiveness, diversity, and innovation. Cities that succeed in integration boast of strong economies and cosmopolitanism, however, without plans for social inclusion, cities can fall prey to poverty, segregation and social tension. The identity card model has widely recognised as a successful initiative despite being at odds with national discourse. Since its adoption, the identity card model has been replicated in other progressive American cities experiencing similar integration challenges - such as San Francisco and Oakland, California. Cities have much to learn from each other, and through sharing innovative ideas  both on the international and domestic levels  they can actualise both social and economic growth. For example, the Key to France initiative created by the non-government organisation France Terre d’Asile, promotes pathways for migrant integration in France. Paris is an established ‘gateway city’ for migration, being home to more than 40 per cent of total immigration to the country. As a result of high population density in the city, finding suitable employment and good quality accommodation has been difficult for newcomers. However, the Key to France initiative works across France in 31 locations, promoting alternative cities with existing minority ethnic communities through an advice service. Migrants with particular skills are matched to the cities needing those skills the most. In order to ensure the locations are practical, cities with existing minority ethnic communities are suggested and caseworkers follow up with migrants after their settlement. So, what can the UK learn from international cities in terms of migrant integration? While representing an interesting approach to building a sense of city belonging, it is unlikely that proposing the New Haven city identity cards would gain popularity in the midst of the dismantling of the national identity card scheme. However what New Haven does illustrate is how progressive ideas, though politically risky, can be implemented in a responsive local environment. Those working towards migrant integration in the UK may find an opportunity in the government’s localism agenda, with cities being able to push forward innovative and practical strategies that will work for their areas. Reductions in public sector spending will inevitably reduce these opportunities. Labour’s Migration Impacts Fund was created as a solution to mitigate the effects of migration on the local level; through levying visa applications, income was redistributed to local projects to help ease stress on public services. The Fund was then identified as ‘ineffective’ and scrapped despite local projects’ reliance on the funding for continuing their work. The Fund was a belated response to the high levels of migration to areas which were ill-prepared to cope with their new demographic. Without comprehensive planning, resource allocation and political will, it is unclear how localities will be able to support migrant integration in the future. Disregarding that crisis the Migration Impacts Fund was meant to mitigate was caused by migration from A8 countries  the Fund only was financed by non-EU migrants  at least it channelled dedicated money to local projects for migrants’ integration. Conversely policies such as asylum seeker dispersal have failed properly to address the needs of the dispersed and the areas they are dispersed to. Much as in the case of Vietnamese refugees dispersed in the 80s, asylum seekers were sent to extremely deprived areas with inadequate housing where they were likely to experience racism. The chosen areas did not offer social or economic opportunities, and so it is little wonder secondary migration has become part of asylum seekers’ settlement  something dispersal has meant to prevent. From the successes of the Key to France, and the failures of UK dispersal, it is clear that good practice needs long-term strategic planning on migrant inclusion and supporting local authorities’ capacity for service delivery. It is likely that long-term planning will drop in priority as local authorities struggle to keep basic services in operation. The communities budget of the Department for Communities and Local Government will experience a 51 per cent reduction. While race equality and community cohesion work are laudable social pursuits, it will be difficult to make the case that they are as vital to successful societies as the commonly understood areas of health services, educational provision, and housing places  for the majority. Birmingham and Wolverhampton have announced recently that they will no longer provide housing for asylum seekers, prioritising instead local people on waiting lists. With no clear plans of accountability within the localism agenda, there is a real concern that the needs and concerns of the most vulnerable and excluded in society will be left unmet. The experience of settlement and integration are felt locally, therefore it seems reasonable and justifiable to let cities take the lead on shaping their own communities. Ideally cities will seize on the opportunity to plan for long-term integration strategies that take in account the real needs of the community. In New Haven, undocumented migrants were not going to disappear and thus they enacted policy that recognised them as residents. While those working in social justice will hope that cities will use their constricted budgets as an opportunity to be creative, it is imperative that we hold local government to account in commitments on social inclusion and tackling inequalities.